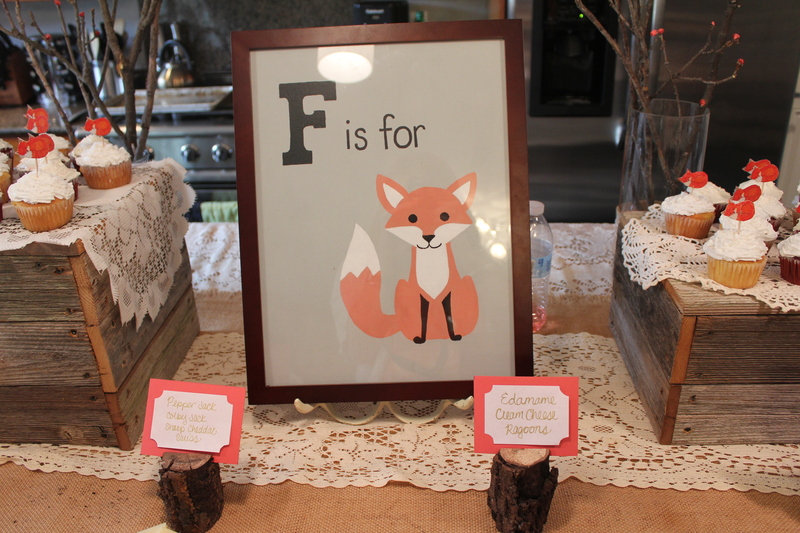 A Fox-Themed Baby Shower for My Girl | mrs. and the misc. 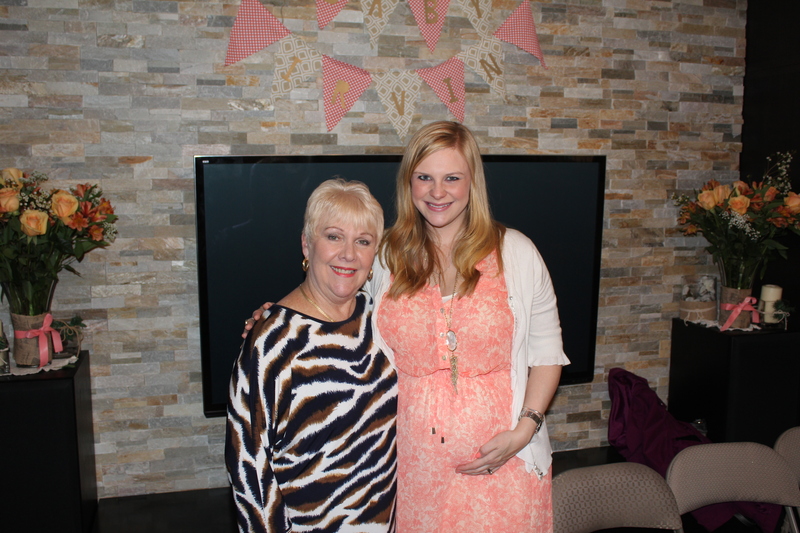 After a foxy baby shower here in Little Rock in January, and a sweet office shower the week after that, it came time for me to return home to Dallas to reunite with some of my closest hometown family and friends to celebrate the arrival of Baby Girl Irvin at a shower hosted by my besties Susanna, Kristin and Stephanie, and my big sister Ashley. The shower was themed perfectly to match my fox-infused nursery (which I’ll reveal soon). 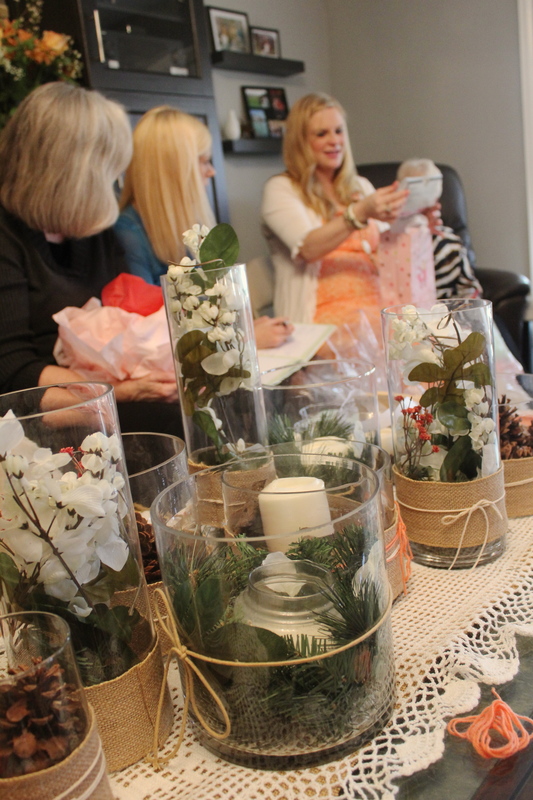 Kristin graciously opened her home to all the guests, and goodness me was it decorated cute! And the food! Ohhhh boy, or I guess I should say oh girrrrlll, it was all so yummy and unique. Kristin made sure to take lots of pictures for me so I could share a post with y’all here. 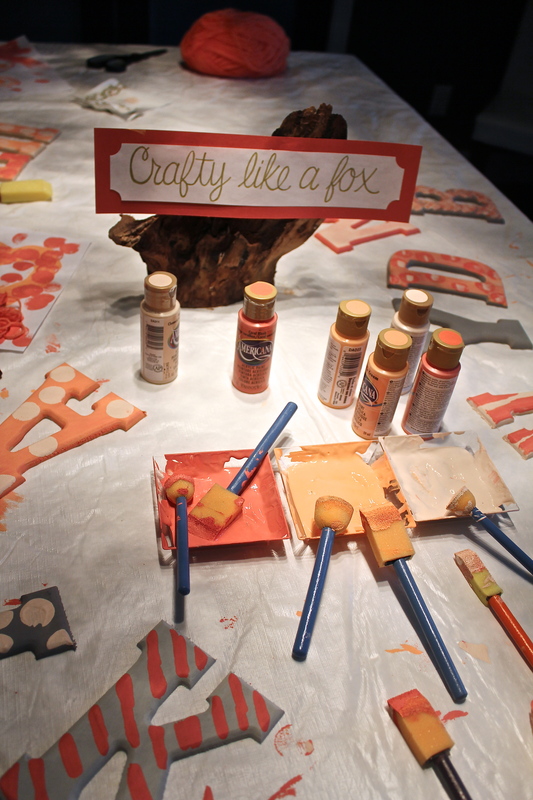 If you’re looking for foxy little ideas, you’ll find some here in their details for sure! 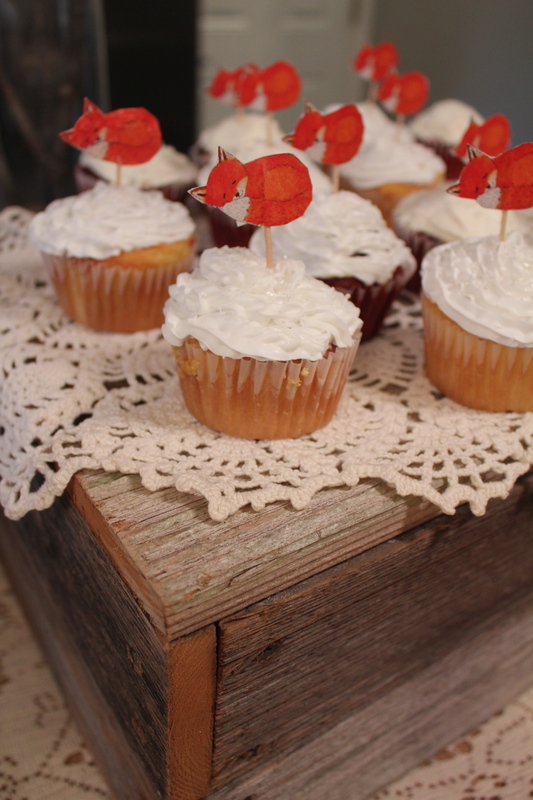 Pin to your shower boards or simply take a peek! 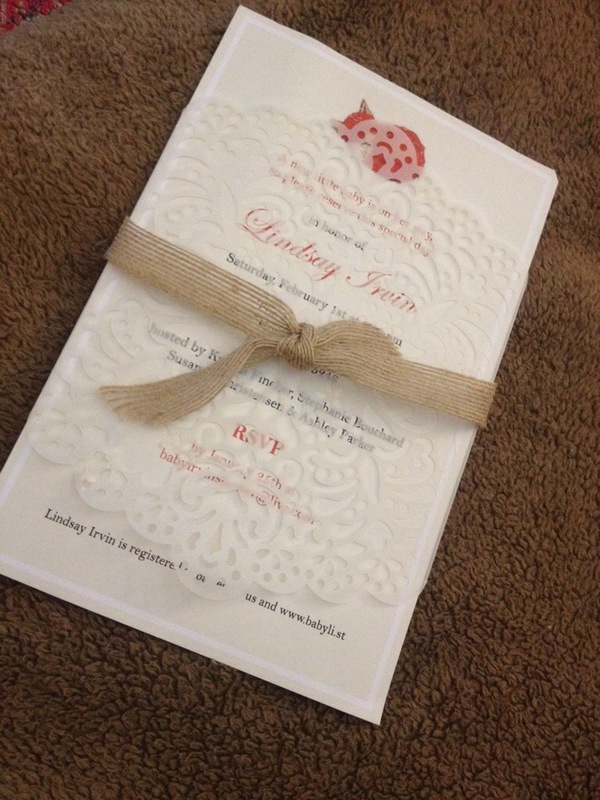 The gorgeous invitations they designed! Love them! 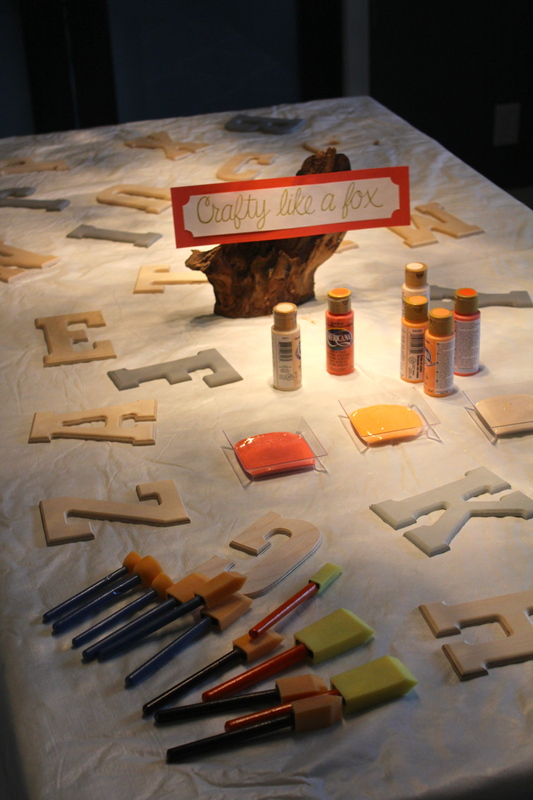 Mrs. Fincher amazingness … SHE PAINTED THIS “F is for Fox” ART FOR ME!!!! Um… so cute! My sister Ashley made red velvet and vanilla – yum! 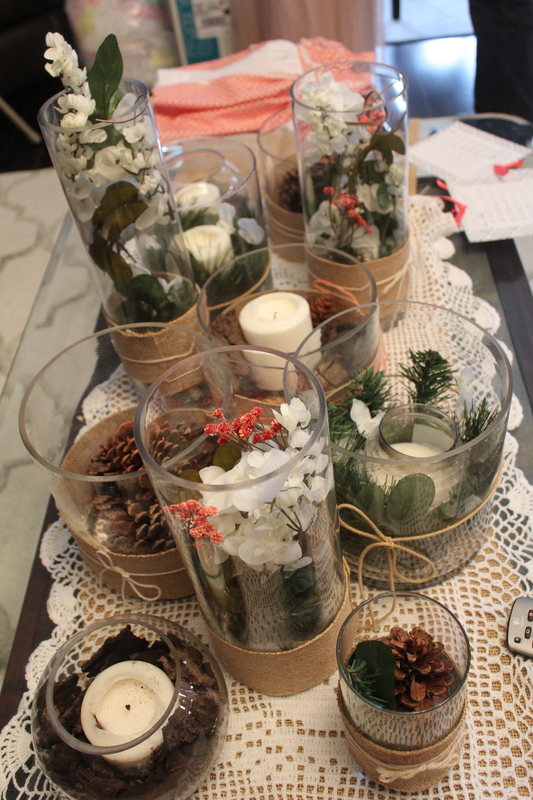 And check out how fun the doilies and the rustic boxes are! 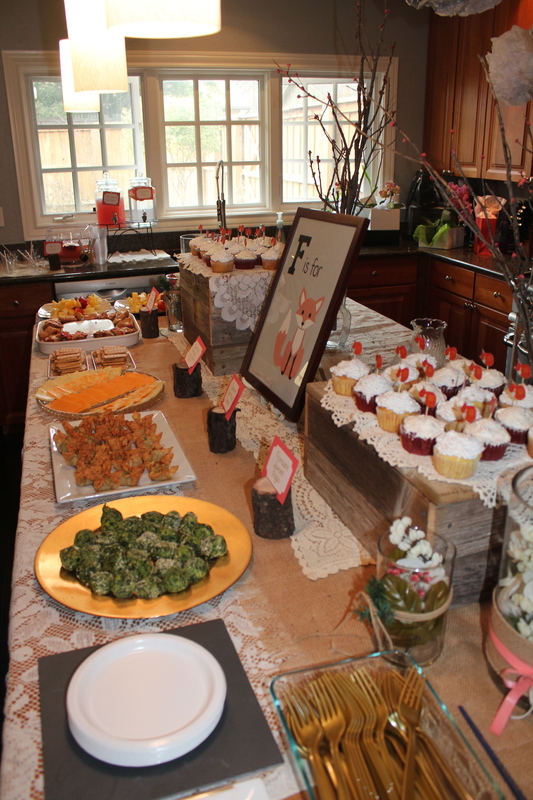 The spread, continued. 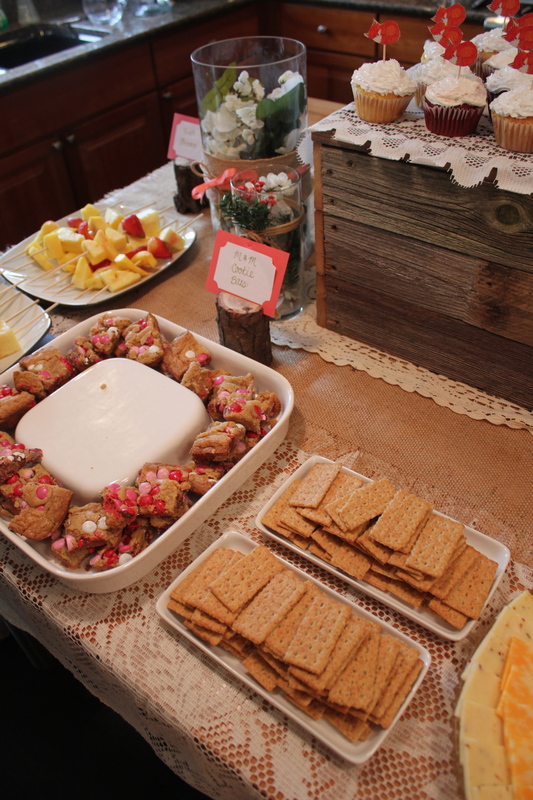 The mini logs were cut by Stephanie’s husband just for the occasion…so mini and cute, and so much effort made by all! 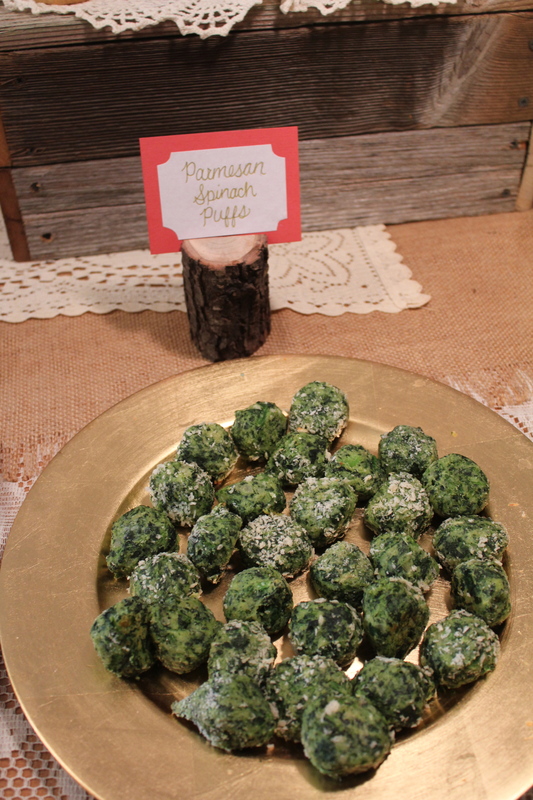 Mrs. Fincher made these and they were amazing! 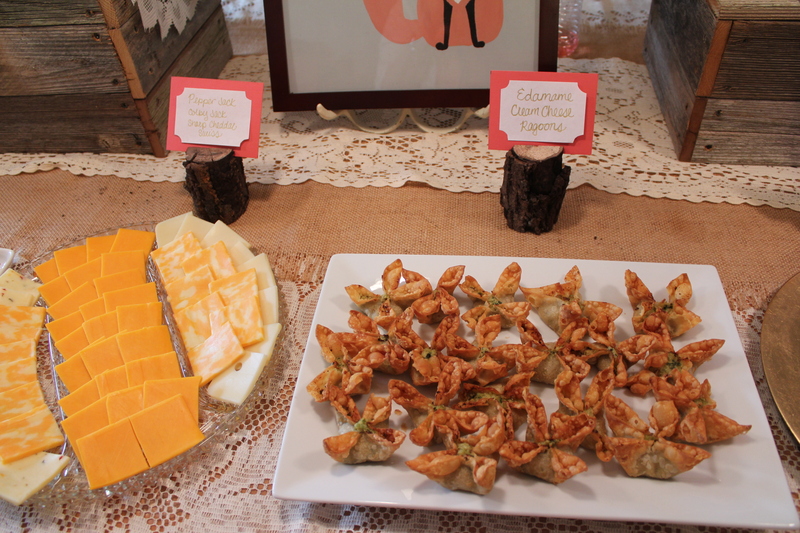 Seriously, those edamame things were super YUMMY! I think I ate like four of those M&M cookie bars … and I seriously want another right now as I type this. Stephanie made them! This was cool. 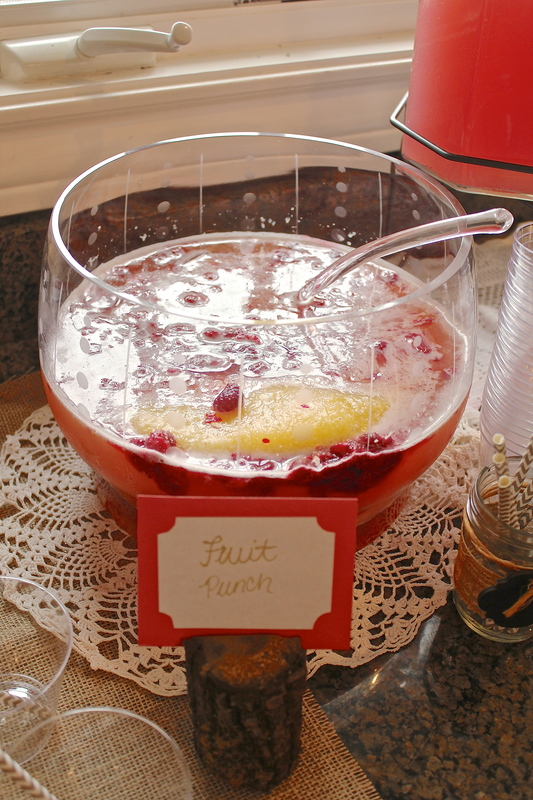 The yellow thing was frozen pineapple and as it melted it made the punch even yummier, and it was so pretty to look at. 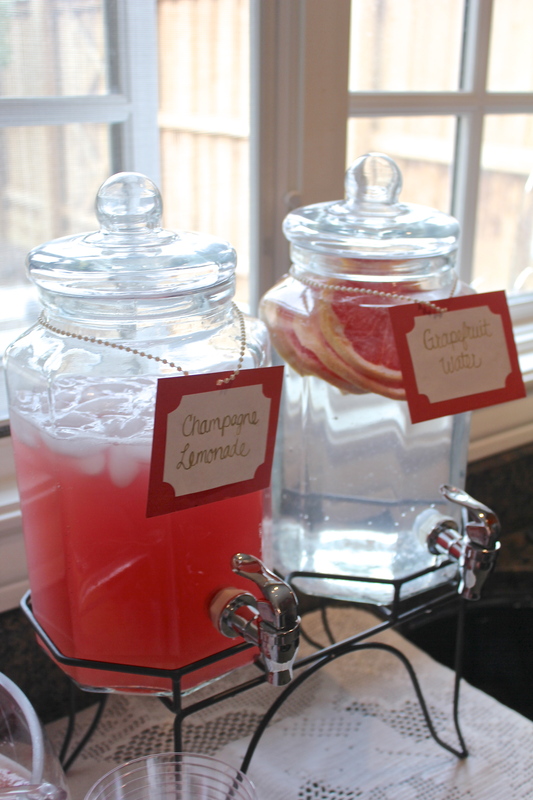 Loved the grapefruit-infused water. I didn’t even notice the champagne lemonade … glad I missed that when I was there or else I’d have been sad I couldn’t try it! YUM! Susanna sewed these for the shower and for me to use in the nursery if I wanted to! How cool! Such a great idea! I really liked how they did these to include started sentences people just had to finish. And I’ve so enjoyed reading them all. So sweet. Kristin turned her dining room into an art studio where guests could paint alphabet letters in the colors of my nursery in whatever designs they wanted. SO COOL! 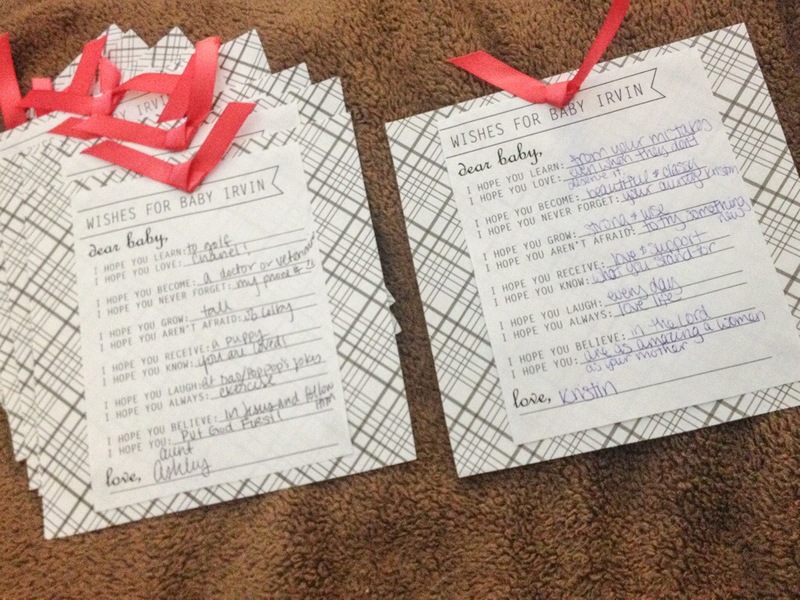 We are going to try and use these in the nursery decor now too! 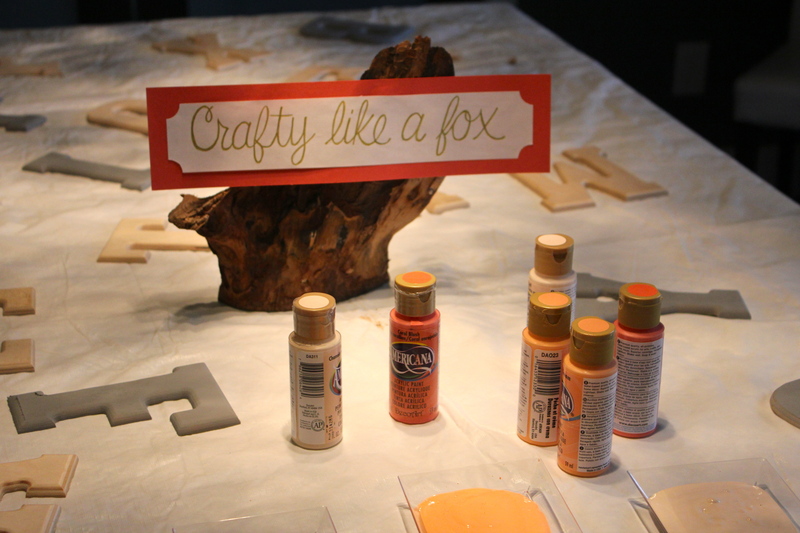 Crafty indeed! These hostesses knocked it OUT! 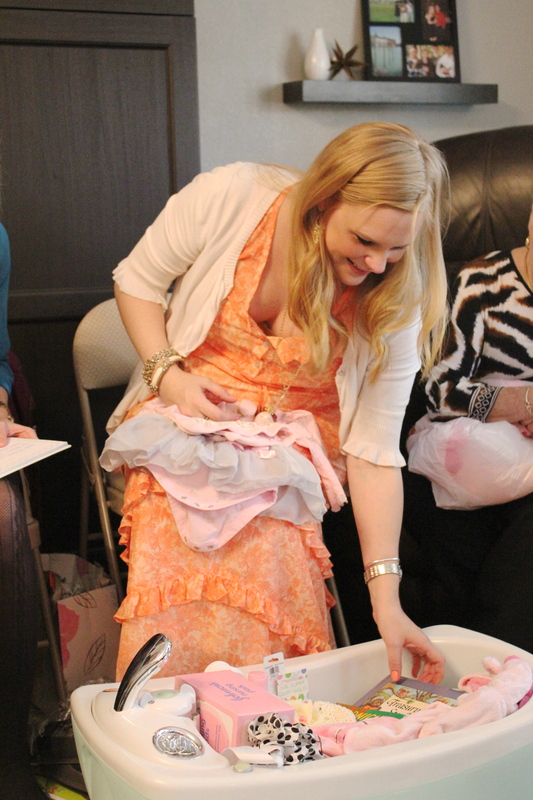 An adorable baby swimsuit from Susanna! One of my best friends from high school, Cheryl, filled this bathtub full of things she knows I’ll need! 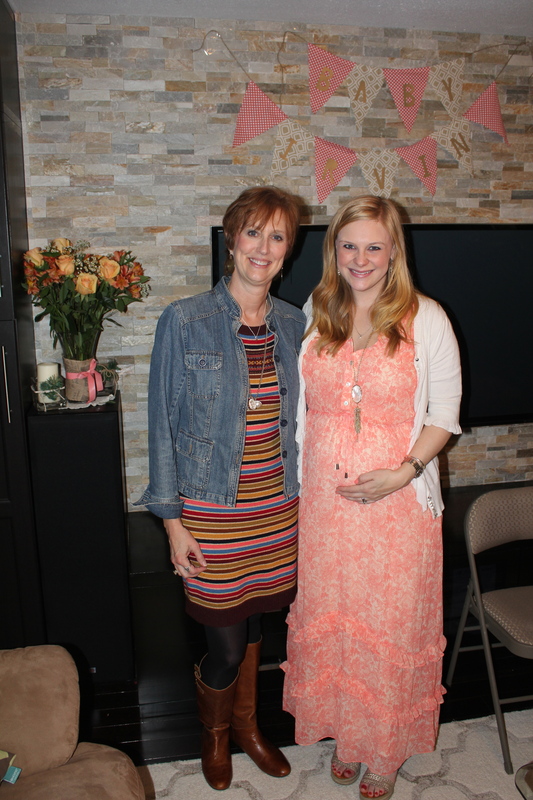 She just had a baby girl in the fall and really has a grasp on needs and advice! 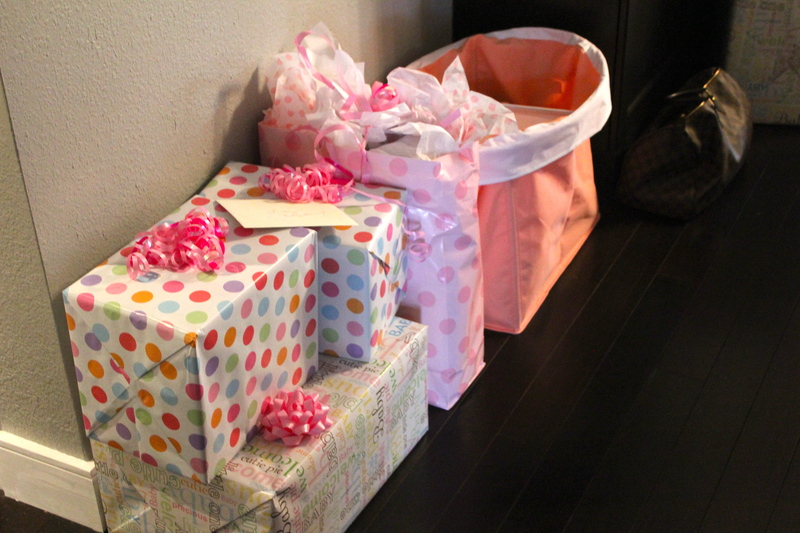 She surprised us with the car seat the day of the shower! So generous. Me and the fabulous hostesses! 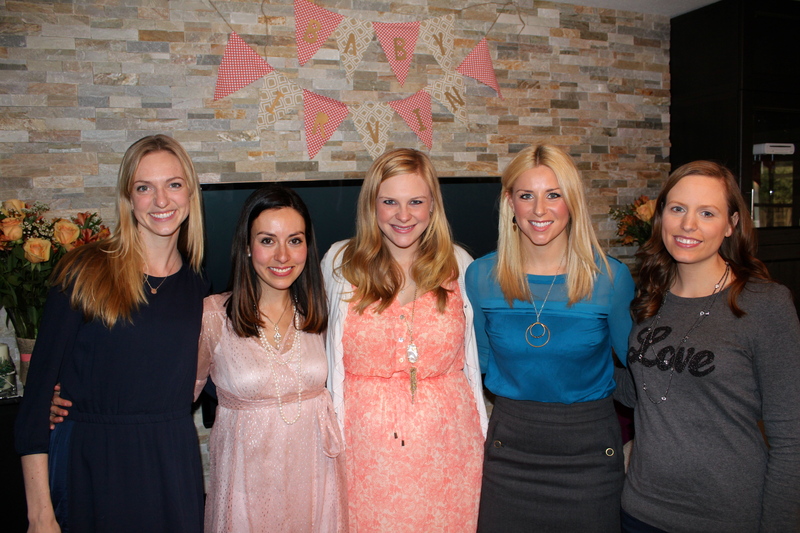 From left: Kristin, Susanna, me, Ashley and Stephanie! My and my big sis. Missing the little sis but such a great day! Stephie is preggo too … so we went ahead and snapped this shot of us preggo at the same time … cause by the time you can see her bump, mine will be long gone! ❤ her so much, and her unborn baby! Me and my majorly crafty and talented bestie, KP! One of baby girl’s great grandmas, Grandy! 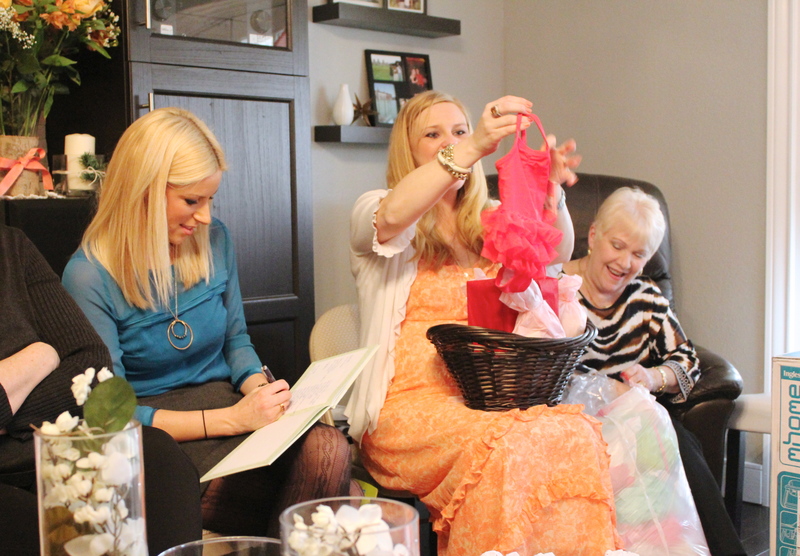 Feeling so blessed by God to have such amazing friends and family, who clearly love us so much that they’d attend our showers and shower us with baby essentials to start off this next, monumental chapter of our lives. They have definitely made it easier on us and we couldn’t be more grateful. 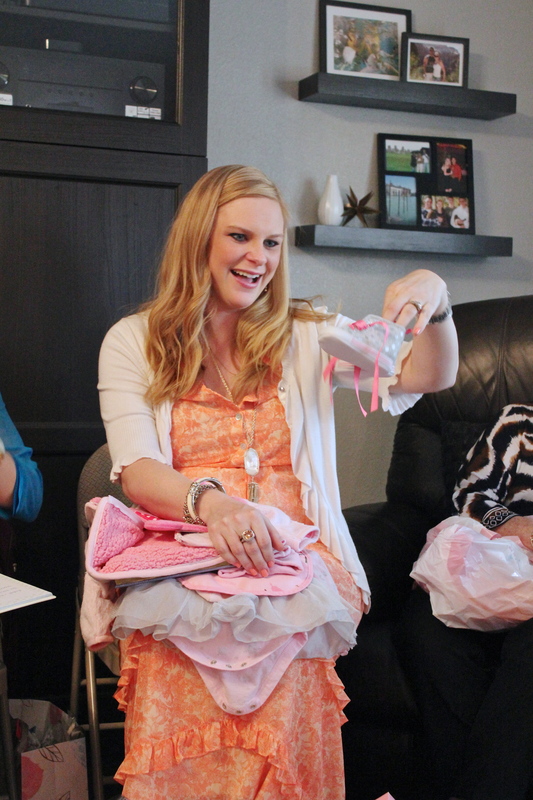 We’re feeling the love and can’t wait for them all to meet Baby Girl. I am so proud of you!! 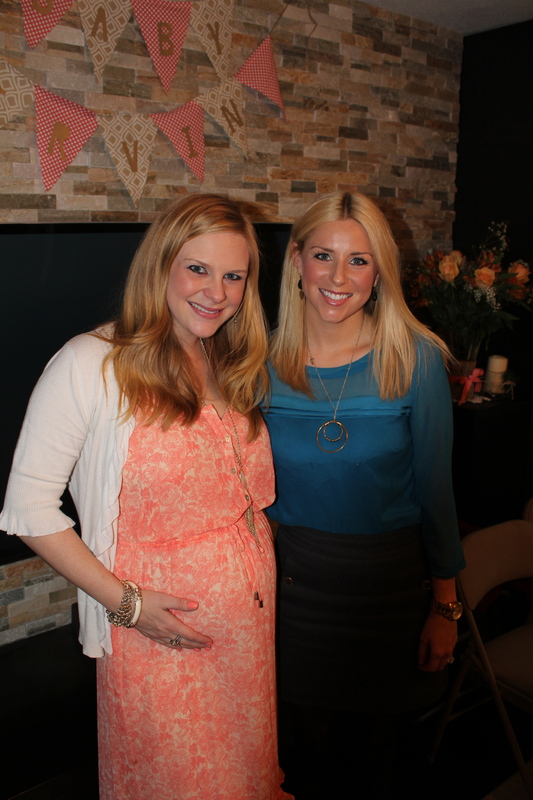 You are going to be such a great mom and I was happy to help throw you a beautiful shower. Your one of my best friends & I am thankful we have shared in the many different and ongoing chapters in one another’s lives. Love you lots! !